I recently rediscovered my love for Capcom's wonderful Phoenix Wright: Ace Attorney franchise thanks to the revitalized look it got in the most recent Nintendo 3DS release, Dual Destinies. If there is one series Capcom has not steered astray yet, it is the ever enjoyable adventures of everyone's favorite self-deprecating lawyer and his entourage of wacky witnesses. With that game in the bag, I kind of want to go back and visit the rest of his older cases as well. Of course, I still own the original DS carts and can easily fire them up in my Nintendo 3DS, but thanks to the eShop, I'm not really into carrying around physical 3DS games. No worries. 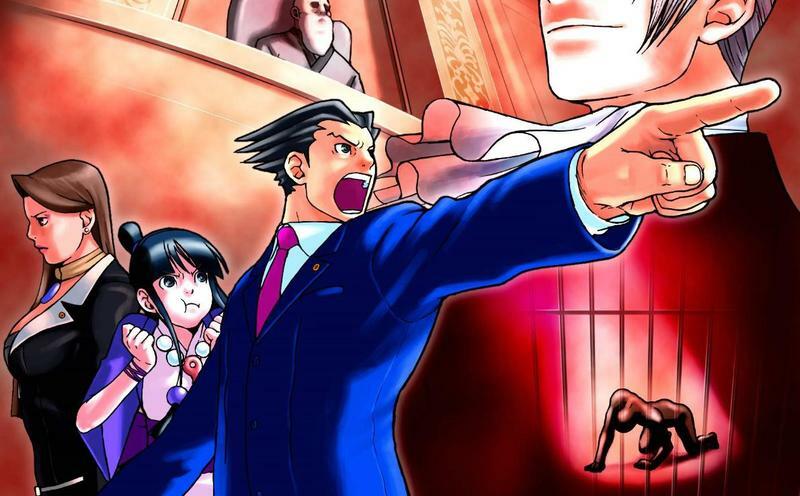 Famitsu reports that all three games are bound for a re-release on Nintendo's current handheld platform in a nice bundle titled Ace Attorney 123: Wright Selection. Granted, this package is currently only scheduled for release in Japan, but given Capcom's treatment of the series in America, it should be digital only if the game is ever brought over. The Japanese cartridge already has the English translation packed on there, so there really is no reason to not see this appear in America. Plus, the classic sprites will be given a 3D touch that only the Nintendo 3DS can grant. Make it so, Capcom!